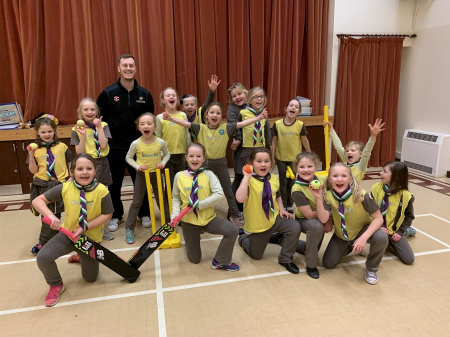 Cricket East visited Alconbury Girlguiding in January for the first of three taster sessions that have been arranged across Huntingdonshire. Girls cricket is going from strength to strength and there are lots of plans for growth and development in the women and girls’ game across Cricket East in the coming years. Community groups such as Girlguiding are a great way of reaching new girls that previously may not have had much access to cricket, and hopefully signposting them to local clubs in time for the summer months! The session started with the Brownies first, ranging from 7-10-year-olds and the energy in the room was brilliant! A quick warm up followed by some rapid fire and continuous cricket made sure the girls were having fun throughout the hour and a half, with some coaching tips in between during a drink break! The second session was with slightly older girls aged 10+ – the Guides and Rangers. Again, energy and enthusiasm were high in the room and the girls enjoyed having a go at cricket in an environment they felt comfortable in. By the end of both sessions, lots of questions emerged about where the girls could carry on playing as well as the possibility of future coaching sessions, competitions, and links with other local Girlguiding venues and cricket clubs. We have two more taster sessions lined up in Huntingdonshire in February and aim to continue this partnership into the summer and future years, linking with local cricket clubs to get as many new girls as possible into the game. 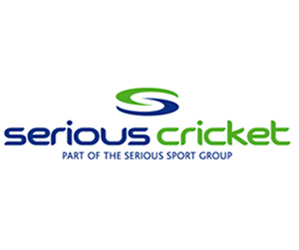 These taster sessions are a great platform to enthuse and generate interest, creating a fun atmosphere to show the girls what cricket is all about!